The CarSharing Association seeks to brand carsharing as "good for your community, your planet and your wallet." Image via the CSA. Eighteen carsharing companies from around the world recently formed a new association that emphasizes the environmental and social impact of their work, with a focus on reducing car ownership and promoting integrated public transportation. It makes sense that carsharing leaders would eventually come together to share common goals and business practices, considering the growth of the industry, especially in North America. Two weeks ago, the CarSharing Association (CSA) became official. The CSA aims to improve the credibility, quality of service and general awareness of carsharing by acting as a “unified industry voice” that “supports its members, their constituents and the communities in which they operate.” The organization plans to advocate, promote and provide education and services of socially responsible carsharing programs. 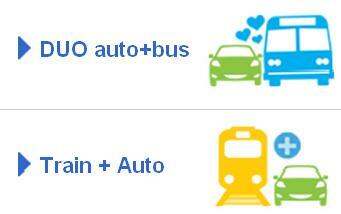 Montreal's Communauto promotes carsharing as part of an existing public transport network. If the carsharing industry wants to expand its customer base beyond younger and more transient urbanites, its companies must seamlessly intertwine with sustainable, multimodal transportation networks. Companies like Communauto in Montreal, a member of the CSA, have worked closely with local municipalities to operate as an integrated transport option that helps people use the city’s existing train service. Feigon’s company, I-GO, partnered with the Chicago Transit Authority to provide the first smart card in the United States that integrates public transit with a carsharing system. The CSA approaches carsharing and public transit as two transportation options that “back one another up,” Feigon says. The CSA encourages its members to drive less often, plan trips using public transport, and drive fuel-efficient vehicles from carsharing programs, thus forgoing the need for members to own cars. Feigon points out that the single biggest indicator of driving is whether or not a person owns a car. In Chicago, more than half of I-GO’s members have either sold their car or postponed the decision to buy one, according to Feigon, implying that Windy City residents are increasing their use of other transit modes like biking, walking and public transit. If the CSA is successful at standardizing the carsharing industry and tackling policy issues like priority parking for carsharing users, it will simultaneously improve the future of public transit. 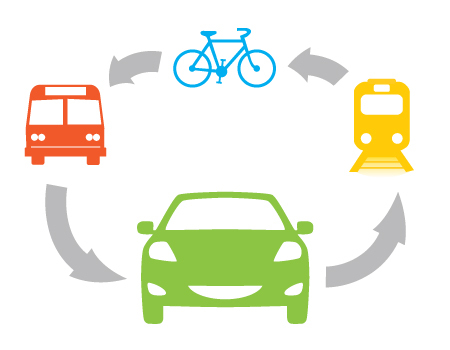 Blogging from TRB: Carshare, Bikeshare, We All Care for Vehicle Share!